Product prices and availability are accurate as of 2019-04-17 08:43:21 EDT and are subject to change. Any price and availability information displayed on http://www.amazon.com/ at the time of purchase will apply to the purchase of this product. No more mess. 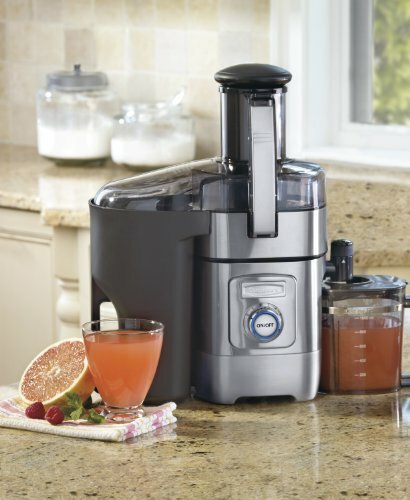 Create fresh, nutritious fruit and vegetable drinks in no time. 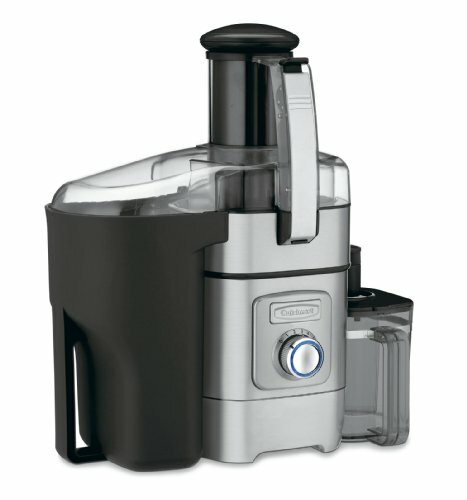 Cusinart's juicer features a large 3" feed tube to handle whole fruits and vegetables like apples, carrots... even a squash. 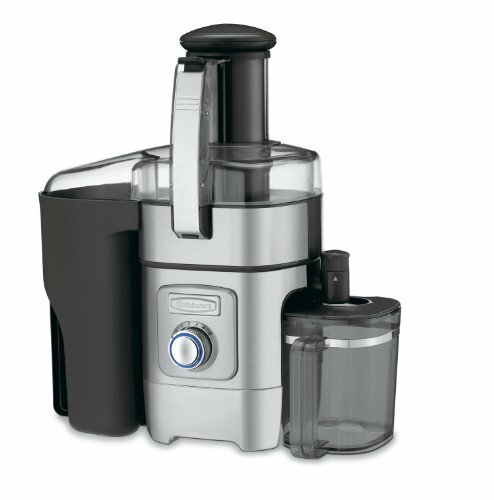 The adjustable flow spout controls the flow rate and the 5-speed control dial gives you more options. Three-year limited warranty. Model CJE-1000. 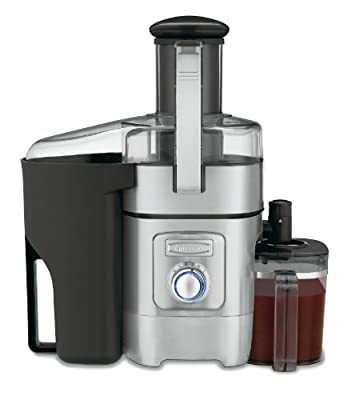 Die-cast and stainless steel 3" feed tube for whole fruits and vegetables 5-speed dial control with LED light ring Specially designed filter basket reduces foam Quiet operation 1000 watts of power Dishwasher safe Measures 14.92" x 9.37" x 16.46"